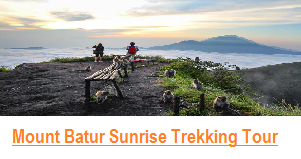 Bali Jungle And Waterfall Combination Trekking Tours — this trekking tour package is designed exclusively for you who would like to experience the real jungle adventure and refresh your mind with cold breeze waterfall in Munduk Village. 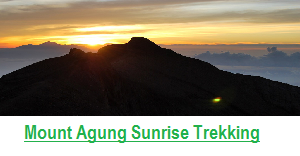 This tour package should be begin in the early morning around at 08.00 Am already start the trek. 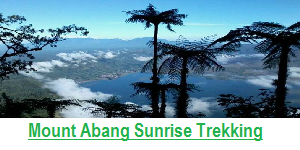 When we arrive at our post office , after we do registration we will start the trek by entering the jungle, and visit Ulun danu temple ( Old legend temple located at the corner of Tamblingan lake inside the jungle ) then we continue to exploring the sacred jungle of Tamblingan lake and We will stop by one of the oldest trees in the Jungle more than a couple hundred old, and if you’d like, you can swing from one of the tree vines, just like Tarzan it’s very possible only make sure your weight no more then 90 Kg . 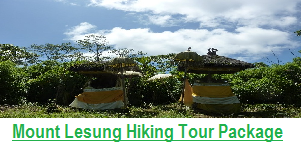 After that, we will continue down to see more local shrines and Dalem temples ( Blessing Temple for who would like to get marriage or who just get marriage ) the enjoy some of local organic fruits like passion fruit , oranges whilst taking a short break and see the Nature Beauty of Sacred Tamblingan lake. 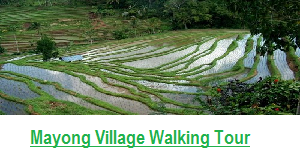 Then we will continue the adventure by crossing the Tamblingan Lake using a traditional dugout canoe, steered and paddled by one of our local Balinese village men. Of course, if you’d like to try your hand at it and get a workout in, you’re free to do so! 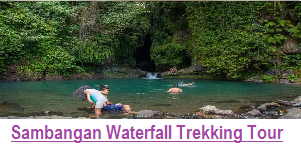 Then after arrive at Finishing point we will continue the trek to Munduk Waterfall, and we will drop you to the Starting point, it takes about 7 minutes’ drive, then you will walking thru the rain forest plantation and Visit Coral Waterfall where you take a swimming for a few minutes, after that we will continue to visit the Laangan waterfall, this waterfall is taller than coral waterfall, here you can look around the waterfall before we having lunch at Local restaurant – Restaurant twin lakes view . 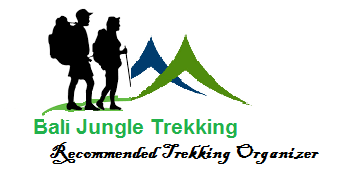 Price : USD$65/Person with minimum 2 persons , Return Transfer with private air conditioner car, canoeing , Lunch, Mineral Water, Guide, Donation to the Village, All Trekking Equipment, And Entrance Ticket to The Tamblingan Sacred Jungle and Waterfalls, Local Fruit.